Summer Slide? No, not the slide at the playground or the water park. Not the Slip ‘N Slide from days gone by either. Summer Slide refers to the time period when kids are not in school and things they have learned slip from their minds. One area commonly affected is reading. Scholastic suggests the following in the article Three Ways to Prevent Summer Slide. Six books to summer success. – Research shows that reading as few as six books can help prevent loss of reading skills. Keep reading aloud. – Yes, even to teens! 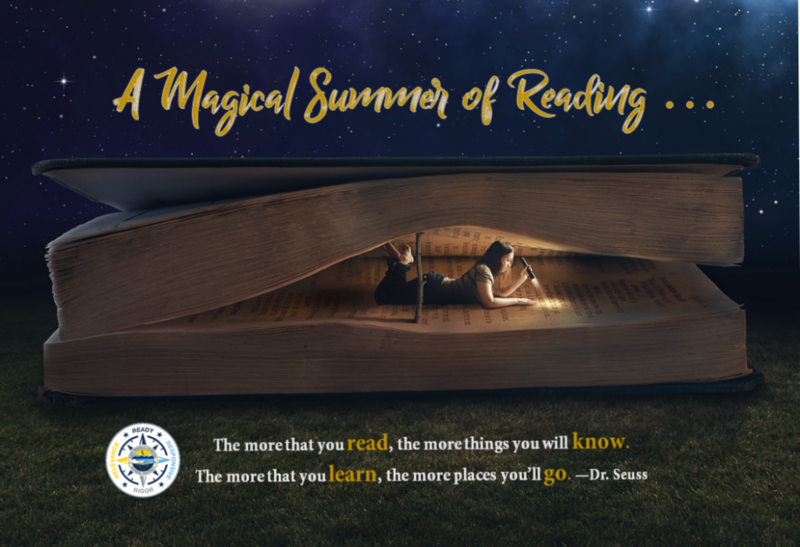 Since our school libraries are not open during the summer, students will need other options when looking for books to read. Many of our communities have awesome public libraries with summer reading programs. If you live in an area with a public library, please visit often during the summer break. All KPBSD staff and students (Gr. 6-12) have access to our shared Overdrive collection. This collection includes over 2,000 titles in ebook or audiobook format. Titles can be accessed through a browser on a computer at this website: KPBSD Overdrive Collection. How to use Overdrive video. There is also a free Overdrive App available for iOS and Android devices. Make sure to choose the KPBSD Schools (Main Collection) when searching for our Overdrive Library. KPBSD students login with ID number and regular password. KPBSD staff members login using eNumber (change the E to a 9) and regular password. This is a free summer audiobook program for teens 13+. Beginning April 26, 2018, SYNC will give away two complete audiobook downloads a week through July 25. That amounts to 26 FREE audiobook downloads! Visit the SYNC website for more information. https://audiobooksync.com/ Anyone interested can sign up through email or text. This is an amazing deal! PG is an award-winning database for reading and research written especially for elementary students. Information can be found related to animals, science, biographies, and social studies. Images, video, maps, activities, and games are also included. Pebble Go also has a read-aloud feature and a built in glossary. This great resource can be found here: https://www.pebblego.com/. No matter where you go to find books, the most important part is to keep reading! Thank you to Karla Barkman, KPBSD Librarian and Technology Coach, for contributing this story. Do you have a story tip or idea? This entry was posted on June 14, 2018 at 4:24 pm. You can follow any responses to this entry through the RSS 2.0 feed. You can leave a response, or trackback from your own site.